The Commission oversees the 65 accredited dental schools and a total of 1,450 dental programs nationwide, ensuring that they meet the highest professional and ethical standards. Every seven years, it performs a comprehensive review of each dental school or program to evaluate and assess its quality. This past October, the Commission’s team of 18 surveyors visited the School for three days for an in-depth onsite review. They reviewed all aspects of the School; conducted extensive interviews with leadership, members of the administration, faculty, staff, students, and residents; toured the educational, research, and clinical facilities; and observed patient care sessions. Prior to the onsite review and beginning in 2012, the School completed a self-analysis and self-study report detailing its resources, curriculum, policies, and operational standards. The self-study was led by Dr. Steven Lepowsky, the School’s senior associate dean for education and patient care, and Dr. Jacqueline Duncan, director of predoctoral prosthodontics, who was chair of the self-study group. CODA granted accreditation status of “approval without reporting requirements” to the School’s programs in dental education, advanced education in general dentistry, advanced specialty education programs in endodontics, oral and maxillofacial radiology, orthodontics and dentofacial orthopedics, pediatric dentistry, periodontics, and prosthodontics. In December 2016, the School’s program in oral and maxillofacial surgery will have a CODA site visit as part of a separate five-year accreditation cycle. UConn School of Dental Medicine, part of UConn Health, is Connecticut’s only school of dentistry and the only public dental school in New England. It is a leader in dental education, dental medicine, research, and community outreach. The School offers a full-range of clinical dental services, and last year provided care for nearly 75,000 dental patients. 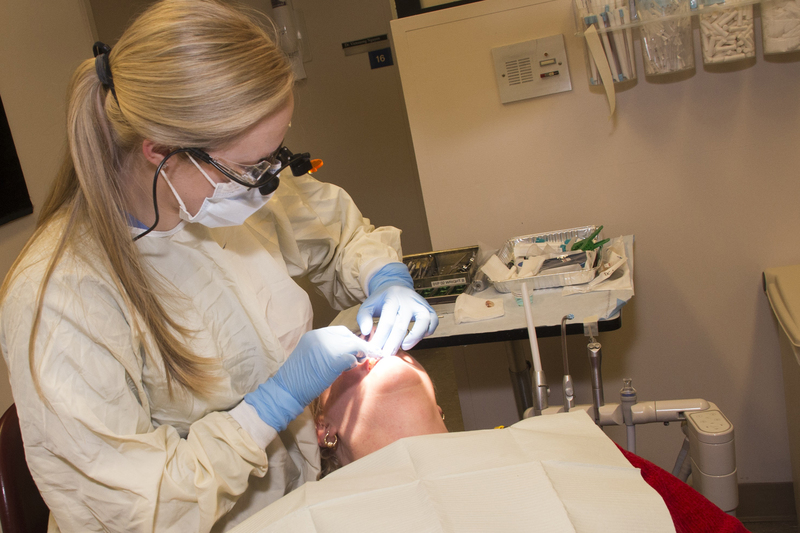 Nearly 70 percent of visits to its dental clinics are by underserved patients.